Vote now for your Battle of The Bands winner! Our expert judges have reviewed over 500 brilliant entries and selected their top 5 tracks in our Battle of the Bands competition with Metro. Malcolm Jack, Nile Rodgers and Matt Mysko are now handing over to you to vote for your favourite band and pick the winner of Battle of the Bands 2017. 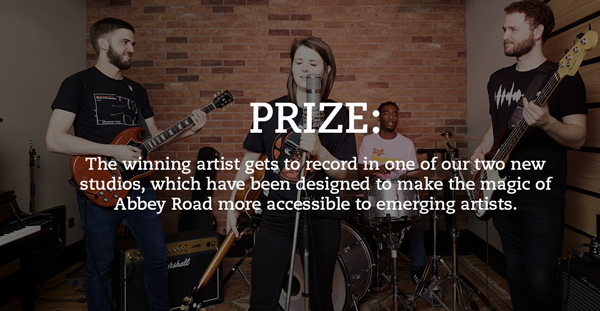 The winning band will win a day recording in one of Abbey Road's new studios - the Gatehouse or the Front Room - as well as having their track mixed and mastered by Abbey Road's award winning engineers. The five bands have been shortlisted by our expert panel of judges: the legendary Nile Rodgers from Chic, music and arts journalist Malcom Jack and Abbey Road engineer Matt Mysko whose recording credits include works by Frank Ocean, James Blake & Liam Gallagher. Congratulations to all five for making the final shortlist. Now it’s over to you. Go to our Battle of the Bands competition page, listen to the 5 finalist tracks and vote!